Orelse you can preset the picture instead of me. No Stalin, the picture are now visible because I used your sources! Thanks for your services martijn. I really appreciate them. Do you know why do astrology and palmistry abused ? Because we have relate them religion more than science. I have dissected the dead bodies in anatomy lab. but, my anatomy professor explained about the structure of human bodies. but, he has never thought about the meaning of palmar crease. If you help me, i will appreciate you. So far , palmistry is identified as 'the language of god' , not the language of science. science has already labelled it as pseudo science. so, what is your role here exactly? Upendrasingh Bhadoriya wrote: Do you know why do astrology and palmistry abused ? That might be an interesting thought to think about. But can you describe a few more details about what exactly you have in mind? you may be known for supporting your own points that for your comfortability and necessity. but, peoples wont be remain blind as you exploit with your own theories. can you prove me atleast with single example that how can you prove palmistry as 'science' . Stalin, I am quite sure that your anotomy professor is very aware of the connection between the 'simian line' and Down syndrome - because this is what all medical student (should) learn. NOTICE: Down syndrome is the most common genetic disorder, so one can not describe this point as irrelevant. I think this point perfectly illustrates that some aspects of palmistry (only a very small minority of all aspects) can be described as an example of... pure science. While your claim that palmistry is 'the language of God' can so far only be described as an example of... pure rethorics. Atlast, I am happy as you're able to discuss some scientific debate with me. yes, ofcourse, it is true that some of the down syndrome individuals has the simian lines in their palm as illustrated in the medicine text books. but, it is not applicable to all. can you explain further why dont all simian individuals are not been affected by down syndrome? why do science miss all other characteristics of palm? why do dermatoglypics field of forensic medicine leave maximum perspectives of modern palmists by labeling them 'wrong' ? (You created a topic about 'Hindu's primal deity'... so let's re-focuss on this topic; let's wait and see if U.B. is able to explain his thought at least a little bit more. Don't worry martin , i can explain how this deity is being the manifestation of all our souls ie., pictorial signs on palm like Trident sign , tortuous line (snake sign), lotus sign, flag sign, flame, etc., through further illustration which is yet to be given by me, by means of presenting still more pictures. I would not like to say about any religion and would not be able to promote them or give any comment on them. But as palmistry lover I want to just say do not blend it with any religion other wise how other people will accept it. It becomes more difficult to understand to other if someone will blend palmistry with his mythology. Just for example if some body blend trident with western mythology what will be our condition. Trident is not only related with one deity it is a universal weapon used in various mythology, now you can check following link. When a person of other culture try to learn and understand other mythology what happen? I put here a picture of various deities created by an American here for your kind reference. Feel some difficulty to recognize them. Greek and hindu mythologies are interesting to learn and remain food for knowledge. so, i see no reason to stop discussing about it. For example, planetary gods and the description and stories about them in both religions are more or less similar and it help us to understand the palmistry better. For example, In greek mythology, mercury god is been called as 'hermes', In hindu mythology, he is been called as 'budha'. The names may be different for the purpose of adaptation. but, the qualities and understanding behind them are same in both religion. Mercury god is known as god of messenger and god of merchant in both religion. We apply it in palmistry as well. we read mercury line, mercury mount to know about one's business skill and communication. we should learn through it that mythological stories has more philosophical values . Those are not the tales. but, Natural and spiritual laws were explain through this stories by making them as characters individually. It helps us to understand the spiritual laws enormously better than simply believing in "spirits", which cannot explain none to the humanity. Hope, we can find the absolute unity and common center for all seemingly multi-various mythologies in our further discussions as well. you're wrong here. The word '' urdav" in sanskrit refers to upright or vertical. Hence, we should call primarily even fate line as urdav rekha as explained in Vedic palmistry. Another thing is that, As for indian palmistry, there is no single system , rather we have various system of indian palmistry inside the india only. what you have explained is just karthekeyan system. In this system of palmistry, No planetary analogues were used. But, the kamala maa muni's system of indian palmistry clearly states that mercury mount is located under the little finger. ‘Urdhva Rekha’ Word used for not only line going towards middle finger but it is also used for Lines going toward little finger, ring finger and index finger. Would like to give the time of compilation or writing the ‘Granth’ book kamalamaa muni's system of Indian palmistry. Yes upendraji , The word 'urdav' is the general term to mean all vertical lines on palm, specially minor lines. This is what i had explained in my last message as well. 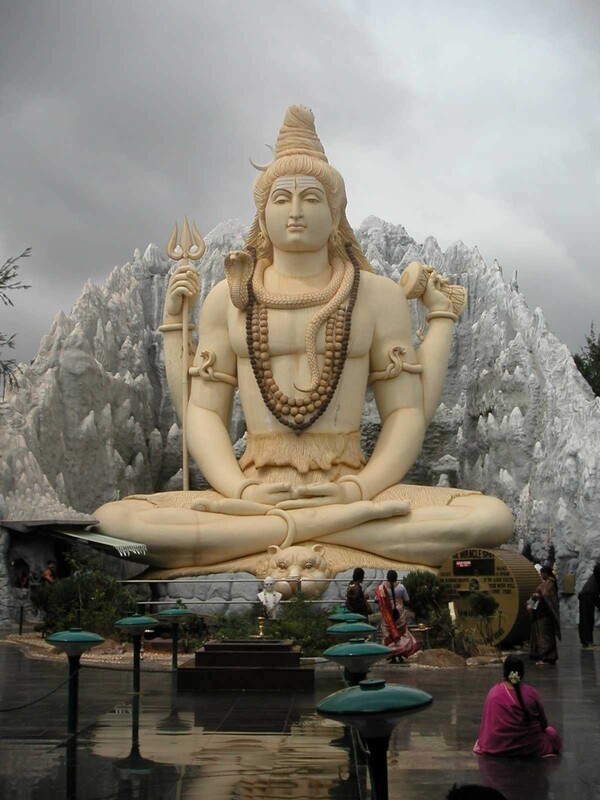 In the introductory part of this book, it is mentioned that this system descends from the ancient tamil sage. kamala maa muni and it is more than 1000 year old system. kandhasamy, The author of this book, also a disciple of traditional palmist and traditional chemist. Ramasamy writes in his book that this is the first system appeared in palmistry at southern part of india. Later, This knowledge were spreaded to other parts of india. However, Book publications appeared in india around 17th and 18th centuries. Hence, It is difficult to time any system of indian palmistry unless we get the original palm leaf manuscripts followed by radio-carbon research on it. Practically it is not possible to many of us as those manuscripts are suppose to be the property of indian goverment. still, I'm working out lot. If you have good sources of Tamil scholar they may find out by the verse they can easily know time of written. There is no need of isotope test or carbon test. We have derived the era of writing of many manuscript south Indian nadi granth with help of astronomical position given in them. Some of them are hardly 250 year old only. If you can send me the book, I will definitely get the time of creation. Finding the time of ancient indian tradition through the current and last century books are similar like a person who try to find the genesis of first human being on earth through examining the physiology of the human beings of this century. First of all, we hindus dont know our own roots. Vedic cosmology describes that our traditions were began 2 epoches back. hence, some billion years. As a another note, i try to give a example. Many scholars were dedicated their time and life to get the date of lord.rama through astrological readings and archeological researches. but, still it widely varies from 9000b.c to 5000 b.c. Existing palm leaf manuscripts may be vary from 250 years old to 1000 to 4000 years old. some cases, it was been proved that 28,450 years old manuscripts we have through proper preservations. However, we have to take into consideration that palm leaf manuscripts were prone to destroy over a period of time through oxidation, insect bites, and war inside the country. Hence, palm leaf manuscripts was re-copied by ancient traditions every centuries. For sure that i can assure the poetic verses of this book are far more ancient than our simple thoughts and imagination though this disciple of traditional palmist has written it in english year 1957. So, i dont see the use and necessity of literature research here. Though, i appreciate your confidence. I send you a copy of this book(soft or hard copy) with in two months as i am living in another state currently. 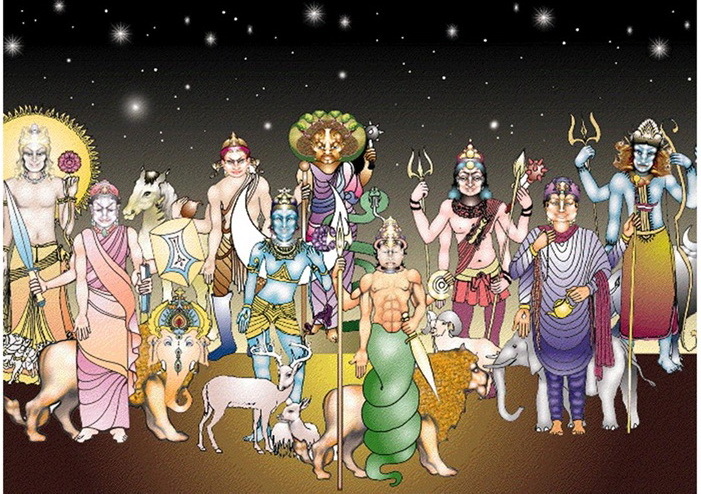 Here i have found a detailed article which illustrates the similarities between Hindu, Greek, and Roman gods in terms of astrology. For example, 12 olympian gods of greek and it's equalents of Roman gods and Hindu's planetary gods are illustrated in the tabular column for our better understandings. The matter of fact is that we supposed to be think here how peoples who lived in two different corner of the world since ancient period arrived at the similar conclusion in their religious configurations and ideas in their respective idolatry . Thank You very much about this information but I knew it. I suggested one name "Purushottam Nagesh Oak" to you and I am much sure you will like him. It is my personal request to you to read all his work because you will get contentment through his work.